Leader of Southeast caucus in the National Assembly, Senator Enyinnaya Abaribe, has explained that those who signed the bail bond for the release of Mazi Nnamdi Kanu, the leader of proscribed IPOB, from detention are now in trouble. Abaribe also stressed that as a result of agitations by the Indigenous Peoples of Biafra for a separate state of Biafra, bulk selling and export of Made-In -Aba products have been hampered drastically. Abaribe, who represents Abia South senatorial district, made the disclosures last night in New York, U.S.A, while speaking at the Made-In-Aba Products Fashion Show held as part of the 2017 Convention of Abia State National Association of North America (ASNA) at Hilton Hotel JFK, New York. Abia State Governor, Dr. Okezie Ikpeazu, was represented on the occasion by his deputy, Mr. Ude Oko Chukwu. The Senator noted that bulk buyers and exporters of the products stopped coming to Aba due to security risks posed by Biafra agitation and the Operation Python Dance 11 undertaken by the Nigerian Army in the Southeast, which effects he said, hit Abia State the most. 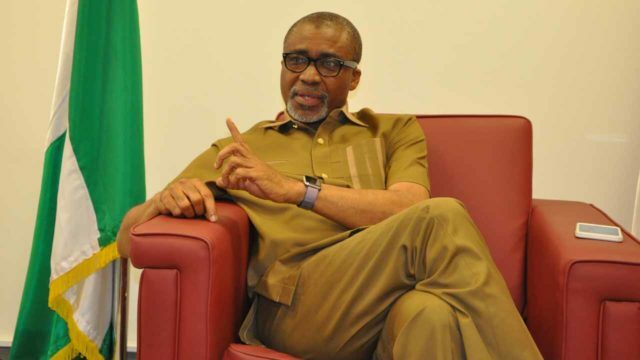 Riding on his acclaim as ‘Made-In-Aba Senator’ Abaribe urged the people to be pragmatic and realistic, stressing that “we should trust that our leaders, both elected and not elected can get the best for us. “We think we need Biafra, but this Biafra should be that of the mind that represents our ingenuity and our innate quality for hard work and enterprise, especially as oil proceeds keep dwindling.